Ketchum starts a scholarship, the PR Council names its first advisory board, Visa boosts the brand with sensory signals and GSG has a new offering. BOSTON — In effort to boost diversity in public relations, Ketchum, Boston University and former Ketchum chairman/CEO Ray Kotcher have created a scholarship and internship program that will be awarded to one African American BU undergrad a year for the next 100 years. The Kotcher-Ketchum scholarship will include tuition assistance and a paid, for-credit summer internship at Ketchum. Kotcher is currently a professor at BU’s college of communication. 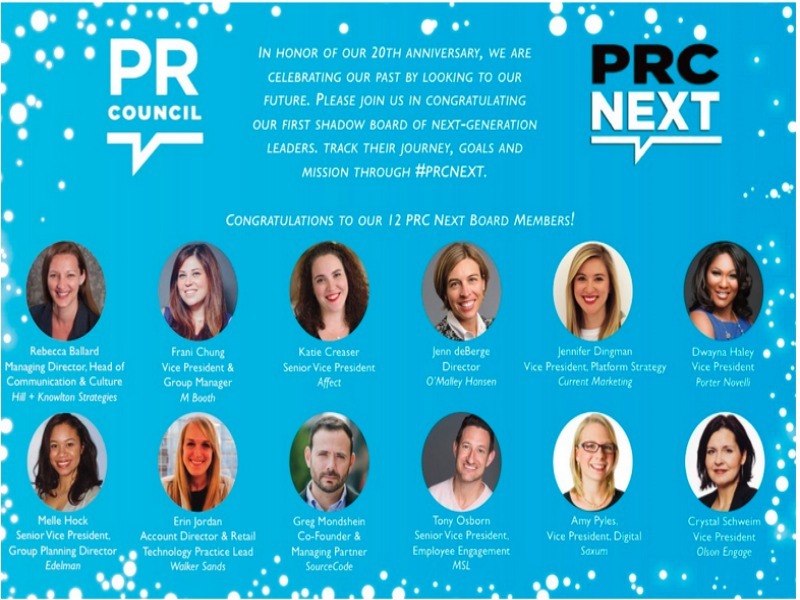 NEW YORK — The PR Council has named 12 members to its first advisory board, PRC Next, created as a means of bringing next-gen leaders into the conversation about the industry’s future. The new PRC Next board, which will be up and running in January 2018, is charged with helping forward the industry by referring issues to PRC’s board of directors, as well as creating and fostering their own ideas and initiatives. The list of members is available on the PRC website. NEW YORK — Visa is debuting a new suite of sensory branding tools to boost the use of the card through connected, payment-enabled devices. The new sounds, animations and vibrations will signify completed digital and retail store transactions. The campaign supporting the sensory branding will debut ahead of the February, 2018 Winter Olympics in PyeongChang, South Korea. NEW YORK—Global Strategy Group has launched a new offering—GSG Viewfinder—that will help clients across business, politics, and causes track and understand their audiences using advanced social media listening and analysis. GSG Viewfinder delivers customizable audience sets that provide actionable insights on messaging and communications that will deliver positive outcomes. These are based on GSG’s proprietary consumer, voter-file and other rich data sources. The suite of services includes real time tracking of trends and events, audience sentiment analysis, voter-file matching and targeting to the individual level.